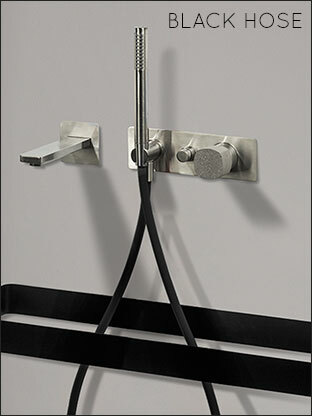 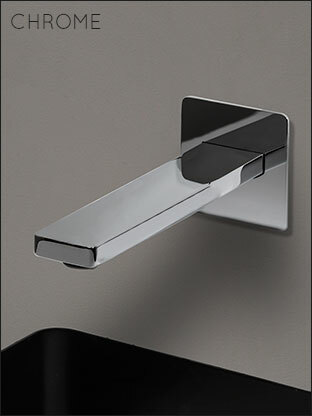 A wall mounted stainless steel bath tap with handy handheld shower attachment shown in the main photo in a brushed finish but also available in a chrome finish if preferred. 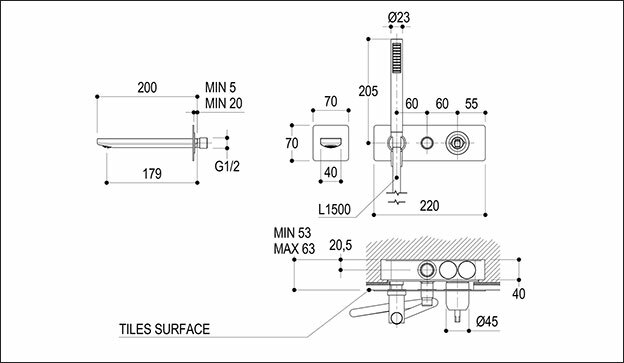 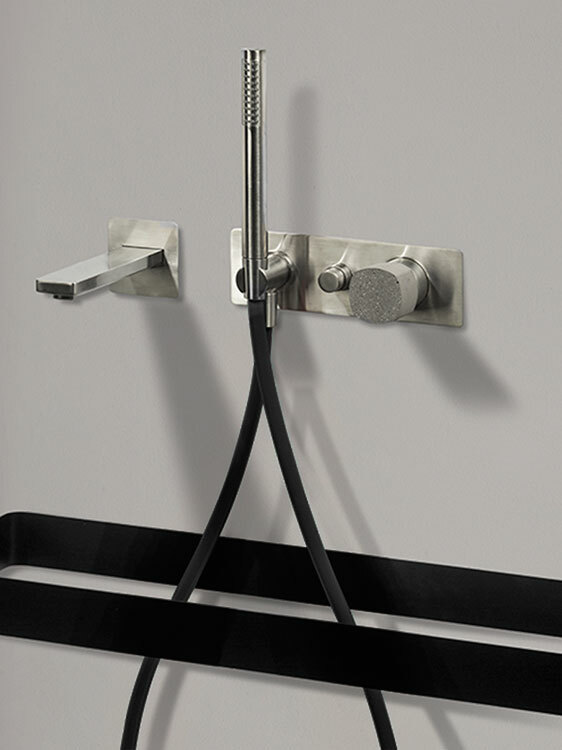 The contemporary shower head is place with the mixer tap and diverter on to a single backplate with the modern square spout separate. These exclusive wall taps have unique real concrete handles with the shower hose available in the finishes of silver, red and black which again makes a stylish design feature. 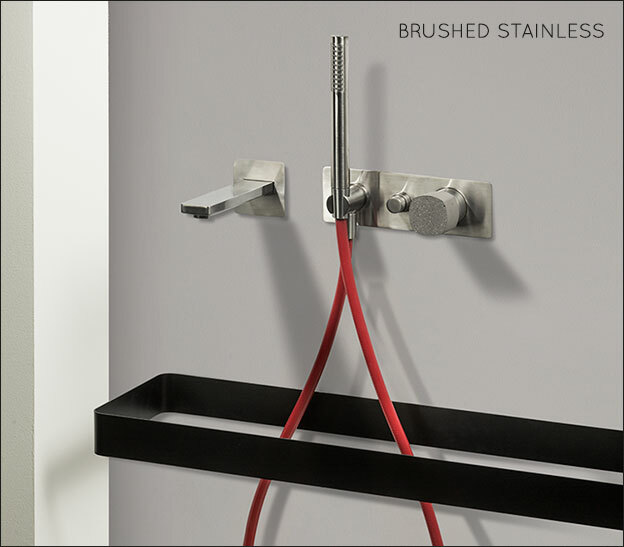 * 3 x handheld shower hose finishes.